Through sharing knowledge between our partners in the professional educational community we strive to constantly improve ourselves while elevating our students. We maintain partnerships with many other professional educational institutions to ensure that we are always providing the highest level of service to our students that we can. The Florida Department of Education is the organization that accredits ARHS with the ability to award high school diplomas. Florida is one of the largest states by population in the United States and it takes a high level of professionalism and leadership to manage Florida’s educational system. School Choice is the consumer information arm of the Florida Department of Education. Their job is to provide families with the most up to date information about their educational options here in Florida. American Royal High School is proud to be endorsed by this great organization. UQMI is a professional training organization that provides its students with practical knowledge and skills. They focus on keeping their costs down for their students while not sacrificing on quality. ARHS is proud to be associated with such a professional organization. 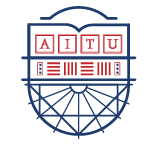 AITU is our partner university and a great place to continue your education after getting your high school diploma. They have a wide selection of degree programs that are more affordable than many other online colleges. If you liked your experience at ARHS, then you should try AITU. 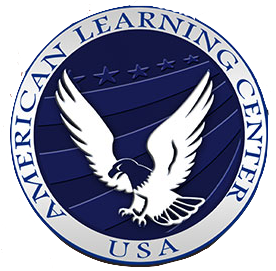 American Learning Center is a world-class provider of online education courses that focus on the needs of professionals navigating the business environment. They are a fully accredited provider of online Master’s and Doctoral degree programs that constantly exceed industry standards. 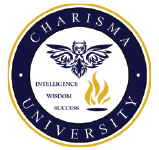 Charisma University is an online university that challenges traditional ideas of education. By offering unique degree programs in numerous fields, Charisma University is pushing the boundaries of what is possible in online education. This is another great school to continue your education. ISTE is a leader in the ever-growing EdTech field. They have pioneered many new advancements in technology that makes going to school online easier than ever. We utilize our partnership with ISTE to stay ahead of the curve with our courses and educational technology. College Board is a non-profit organization that connects students with the schools that will work best for their primarily on students who set of needs. College board has the singular focus of finding the best resources and institutions that can support a student’s transition into college. The ACT is a national standardized testing institution that creates some of the most widely accepted and comprehensive tests in the nation. The tests that ACT administers are specifically designed to help measure exactly how well students under subjects like science and English.